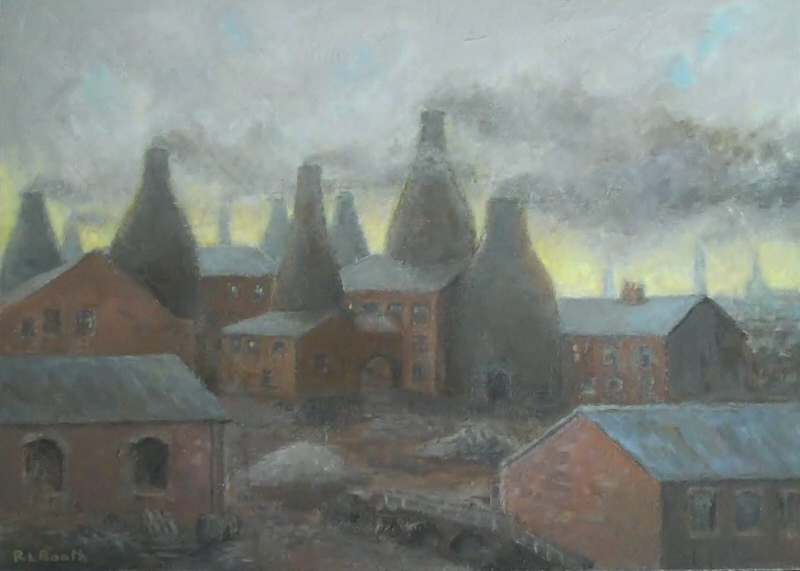 Tunstall, Burslem, Hanley, Stoke, Fenton, and Longton, collectively known as “The Potteries”. 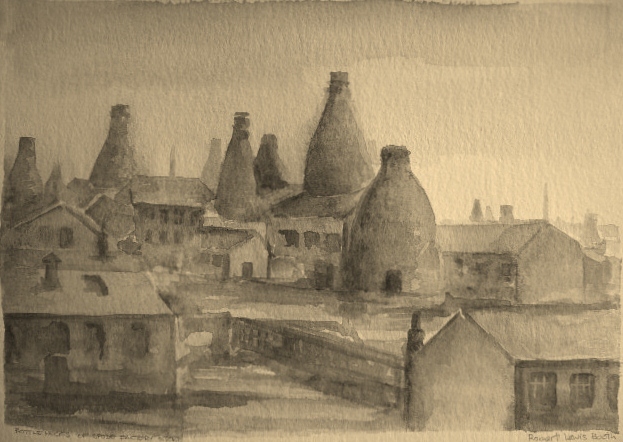 Up to 80,000 workers were employed in the pottery industries. 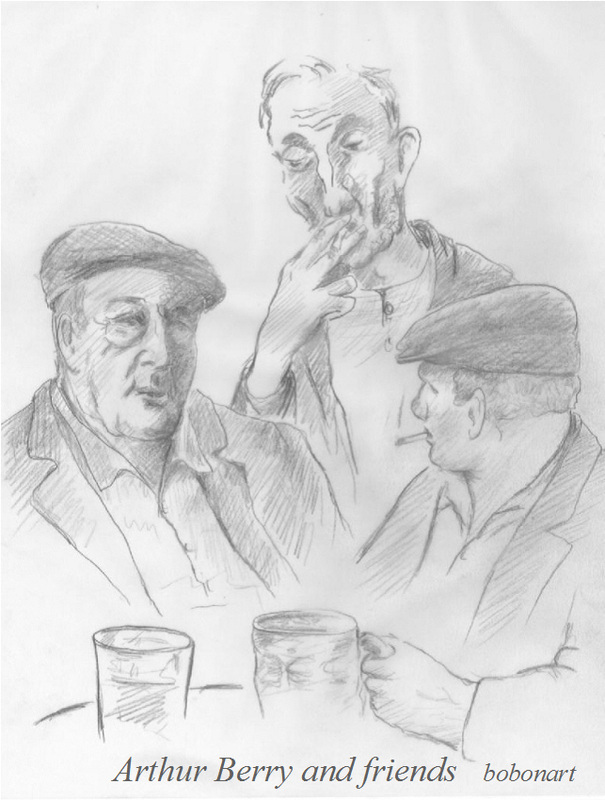 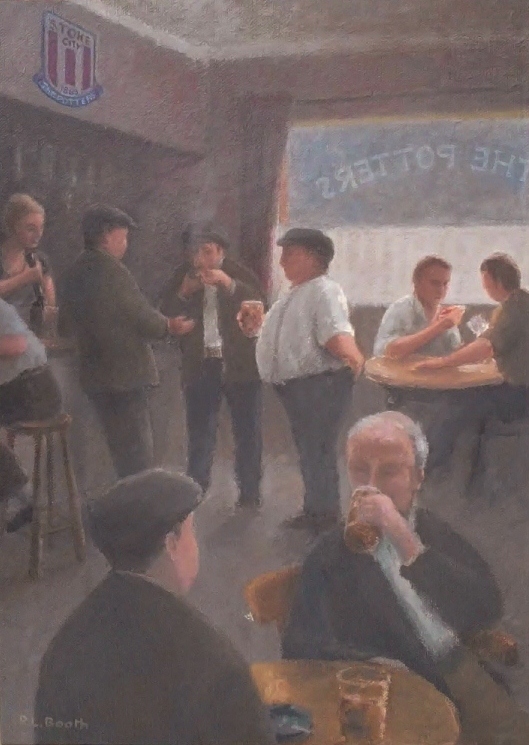 Typical Potteries pub scene of yesteryear, chatting, relaxing with a pint, and sharing a little “Praise and Grumble”. 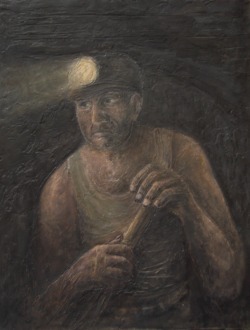 Arthur Berry artist, playwright, poet and teacher. 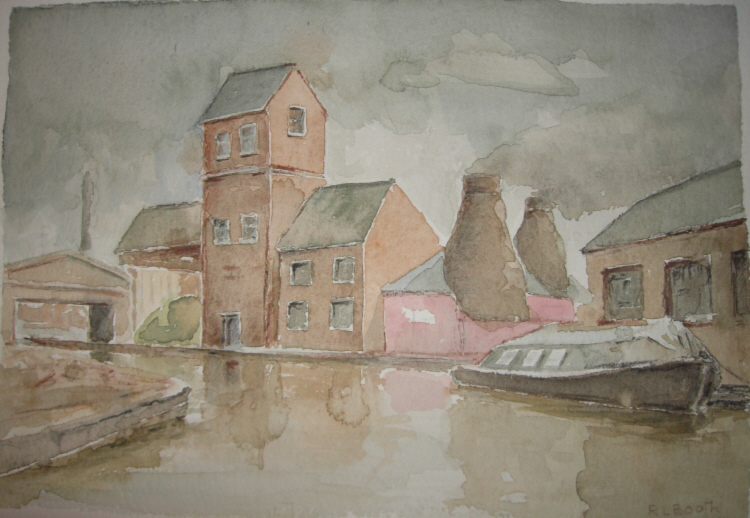 Pollution was a major problem in the Potteries because of the large number of kilns also other factory chimneys and houses using coal fires. 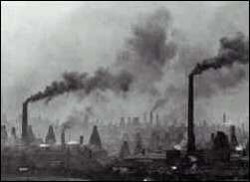 It was not surprisingly the area had a very high death rate associated with diseases of the lungs. 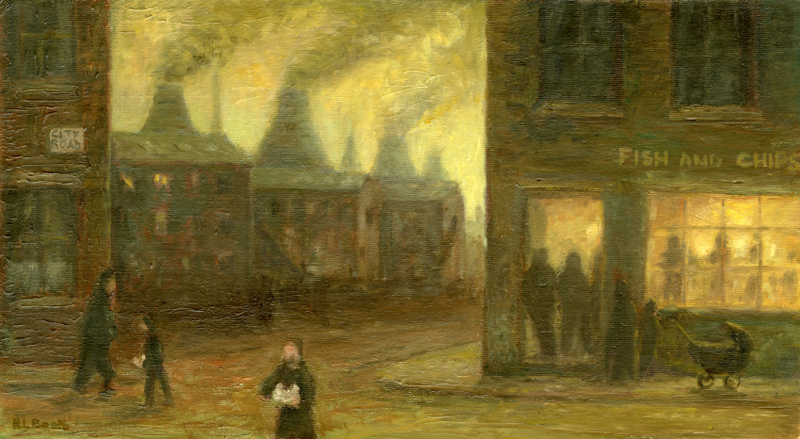 Apparently in the 1950’s there were approximately 2000 bottle neck oven kilns dotted around the city spewing out their acrid smoke. 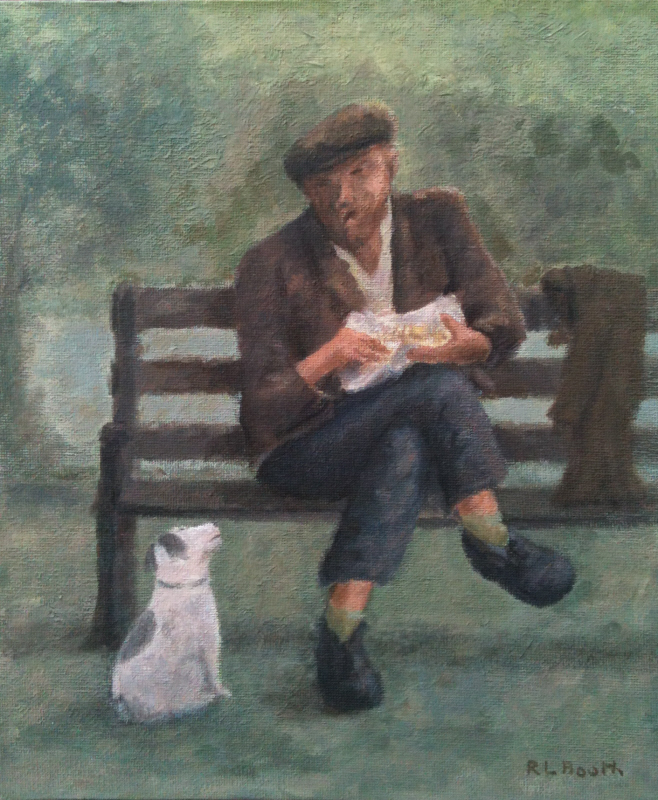 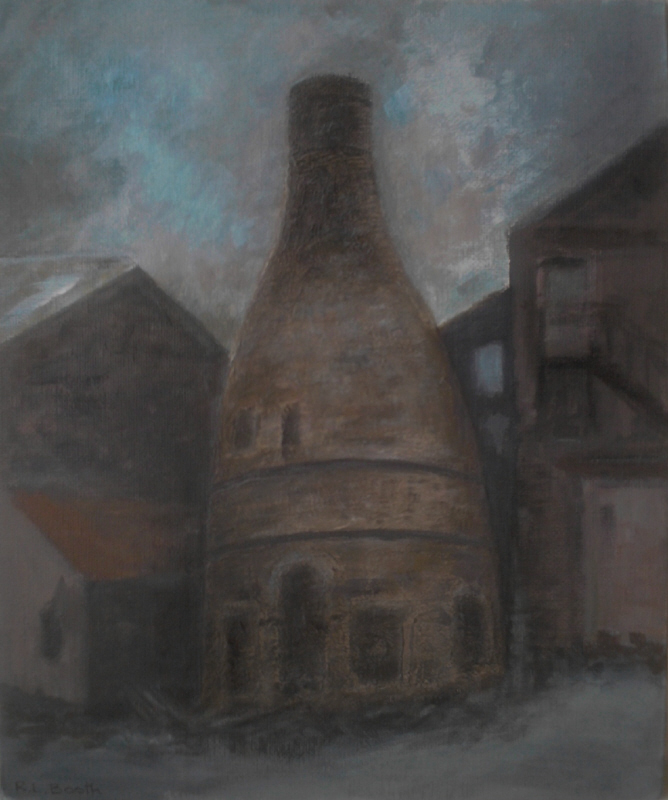 by Robert Lewis Booth Acrylic on canvas board 12" x 10"
Redundant Bottle Kiln Minkstone Works, Normacot Road Longton. 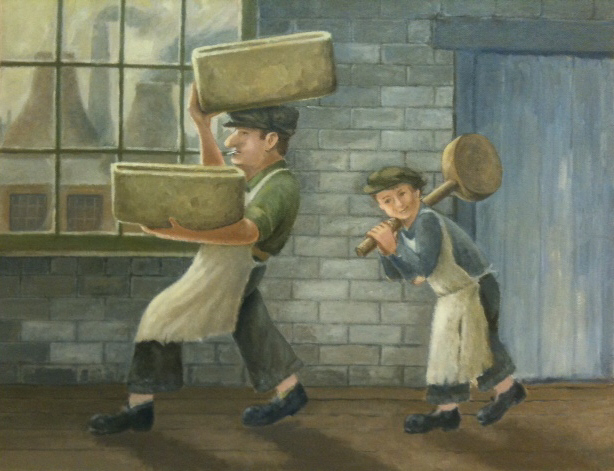 Pottery Factory of WT Copeland and Sons The firing up of bottle neck oven kilns at pottery works factory WT Copeland-Spode, Stoke-on-Trent. 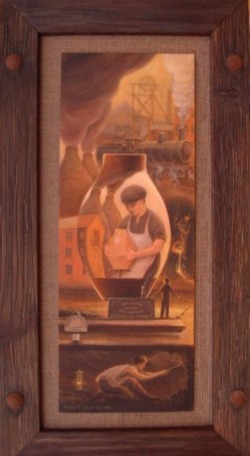 In 1867 the Josiah Spode company's trade name was changed to WT Copeland & Sons, then in 1970 reverted back to the company’s name of Spode. 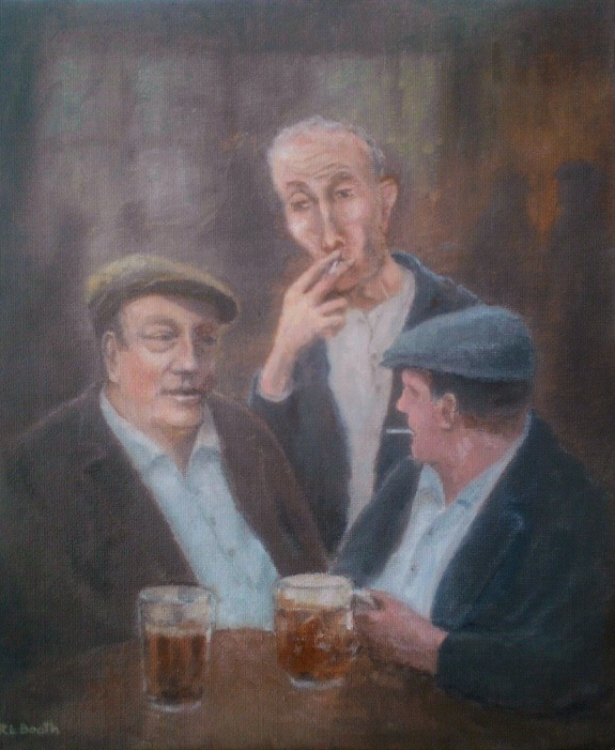 Oil on canvas board panel, size: 240 x 350mm. 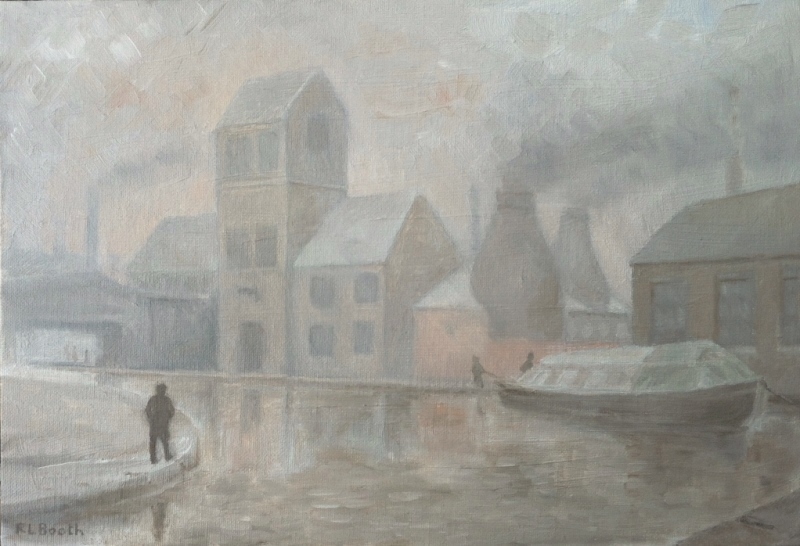 Approx :-10" x 14"